Jasonmarie wrote: Hello , yes what a great day to meet up with you Andrew and well done for winning that gold , as your car was stunning . Thanks Jason. To be honest, i think your stunning car deserved an award more than mine. Jasonmarie wrote: Only Top Tip I should have put more sun cream on as I have a very bright red face & legs . It's a pity you went off so soon after the judging, but that is understandable as it was a long day with a lot of walking. I hope you both made it home safely. Jasonmarie wrote: Did get to see that beast from goblin works and yes what a car and the sound that Engine made was very deep and loud. It was indeed. It certainly made everybody turn and look when that car arrived! In case anybody was wondering, apparently the new owner of the GW car is Dr Brooklands. What a great day, and I hope to catch up with you again soon. Andrew 2.8i wrote: Thanks Jason. To be honest, i think your stunning car deserved an award more than mine. Re; Goblin Works, Chris (Dr B) I wouldn't have worked that out! Although as the club have revised the awards system it wasn't a gold as such. The only medals, apart from the concours gold, silver and bronze, were "winner" awards. It's a huge honour and I am very pleased to have won one. I always thought that Doctor Brooklands was a lot younger and he looks the same age as my Dad , I Do think we need a Doctor injection & A Doctor Laser . 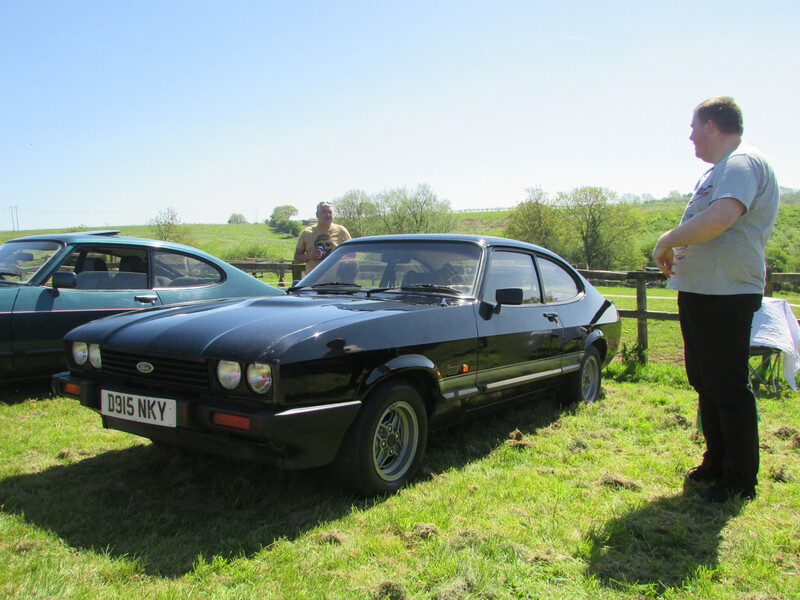 It was a good day with the Eastenders Capri what after some time and a change of side stripe we realised also nice seeing the Car SOS car what on this Thursday on Sky ch 129 National Geography at 8pm . I think it was a lady as she collected the award . There were also ( as you can see with Andrews great pictures ) some really nice mk1 capris that looked so clean and mint they almost beat Nicks clean Engine bay . Let’s hope we could all get together next year as that would be great . Andrew 2.8i wrote: Dan and his 1.6 Laser. I knew I would miss somebody. Always grest to see Dans Laser out and about. Jeepers he NEVER seems to miss the Nationals does he. Top man !! Thanks for sharing Andrew looked an excellent show. I haven't been for years. When my car is Finally finished I will be down for sure what a cracking day weather wise. ESSEXV6ESSEX wrote: Thanks for sharing Andrew looked an excellent show. I haven't been for years. When my car is Finally finished I will be down for sure what a cracking day weather wise. Yes, it is a good show and probably the largest regular gathering of Capris. A great day out. Great pictures! Is it me or do the 7 spokes not look right on a MK2? Just not for me I suppose. Jason, it was a shame you had to nip off, I was chatting with Andrew about the Quad head Light conversion I've done and Andrew couldn't get the Pics to show with the Sun Light, so I was about to bring this over for you to have a butchers as you had expressed an interest in them. 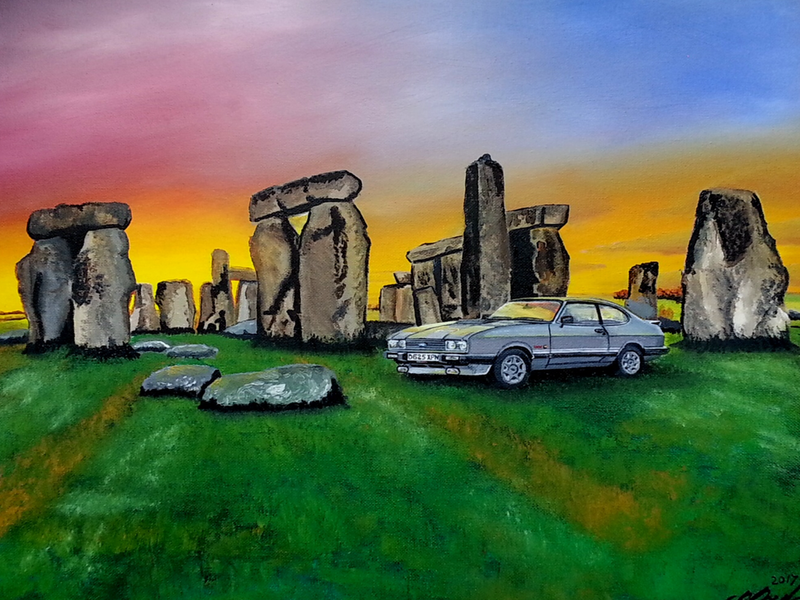 Anyhow, all is not lost, you ain't that far from me and if going to a show near you or Kent Classic Ford show, I could nip round for a cuppa and a chat!!! Is that just inviting myself for a cuppa???? You can't quite see the whole thing as the camera is to the near side, but they drove down the wrong side of the road then up the pavement, hitting the Mini in the process, then carried on for a while till they went off the road again into a fence... Again on the Off Side... Argh!!!!! Watch out for your Pride N Joy chaps!!! 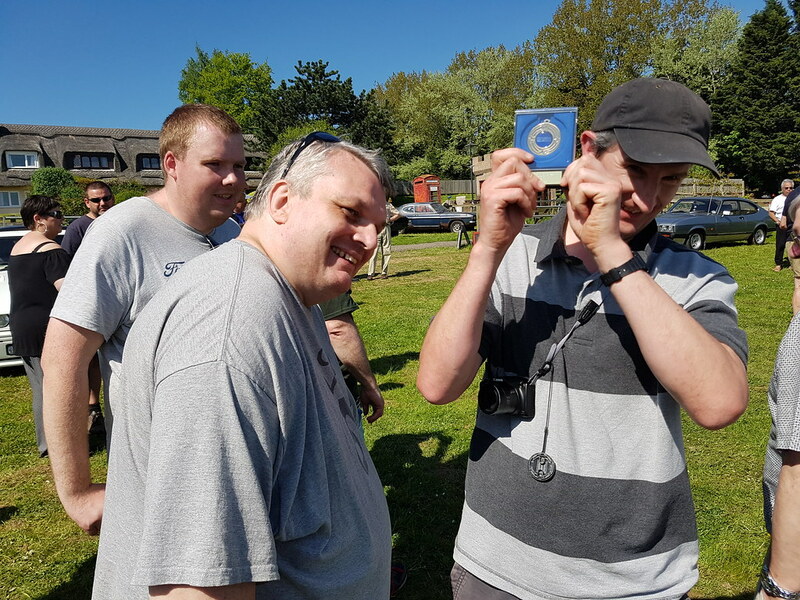 John it was great meeting you at last sorry I had to get off quick but my legs gave up at the end , yes we must all meet up with the bonus of hearing them front speakers and your quad lights . Love the picture you took . Also that dash cam footage what are people like , they must have been drinking . We did have a really good run back and went around the M25 Gatwick wise as it was not that busy . Still saw cars doing well over 70mph but as Dad had to drive back we kept at 60mph also he had to fill her up with petrol . Stish704 wrote: Great pictures! Is it me or do the 7 spokes not look right on a MK2? Just not for me I suppose. Personally, I wouldn't say that they don't look right, however, I do prefer the original wheels. 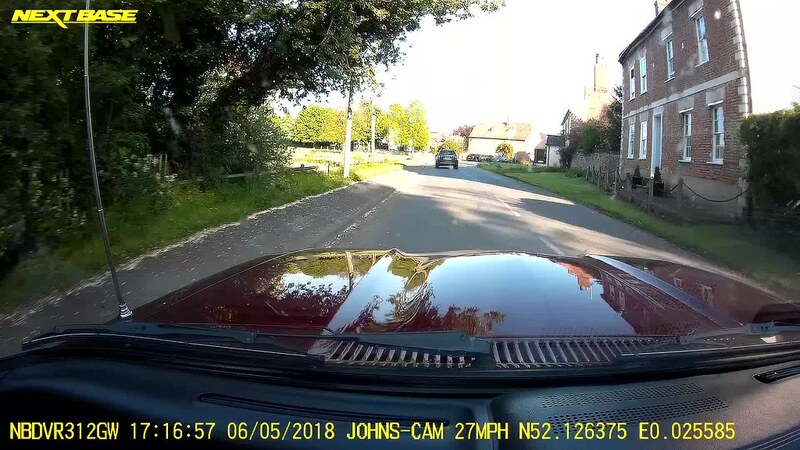 Taff50ish wrote: , I have started using a Dash Cam in the Cappa now, as I have been with my other car and it is amazing what you see. Isn't it just! Although you really have to feel for the driver of the Mini, talk about being in the wrong place at the wrong time. Sadly, it's hard to protect your pride and joy when there are drivers like that around. Thanks for your kind words and for capturing my moment of glory so well!